Patients who cannot afford medication can turn to The Rx Solution to assist them in finding the right financial aid. With the company’s partnership with Blue Ox Healthcare Partners, more patients can have access to prescription assistance programs. 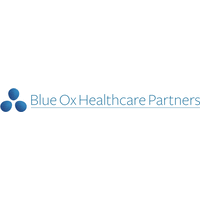 Blue Ox Healthcare Partners is a private investment firm providing capital to growth stage healthcare companies in the middle market. The firm takes an active approach to building partnerships and long term relationships with the companies in which it invests. In addition to capital, Blue Ox provides the full spectrum of operational, strategic, and governance resources to maximize our investments’ long-term enterprise value. Our team has demonstrated a long and substantial track record of accomplishment in investing, transacting and operating in the healthcare sector, and the team has extensive experience working with a wide variety of companies on strategic and operational issues, mergers and acquisition activity, building management teams and a wide variety of financing activities.